Struggling Monaco’s 5-1 home defeat against Strasbourg on Saturday left Thierry Henry fuming with the coach seen insulting an opposing player and lashing out at a malfunction of the Video Assistant Refereeing (VAR) system. TV footage showed the former France international making an abusive remark to a Strasbourg player as the visitors showed no mercy in routing Monaco, who were reduced to 10 men after the dismissal of Naldo in the seventh minute. 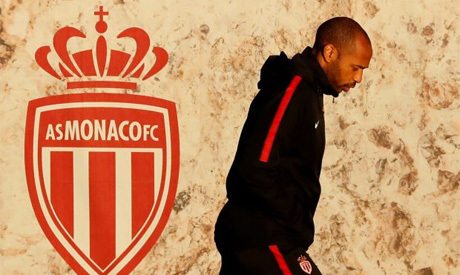 Monaco were trailing 2-1 just after the hour mark when they were denied a penalty in an incident that a furious Henry thought had turned the game. "We were told after the break that the VAR would not be working for a while," he said. "It has happened several times this season. I feel for Thierry Henry, but sometimes, technology does not work."